The morning of September 17, 1862, dawned peacefully in the farming community of Sharpsburg, Maryland. But this day would be like no other in American history. 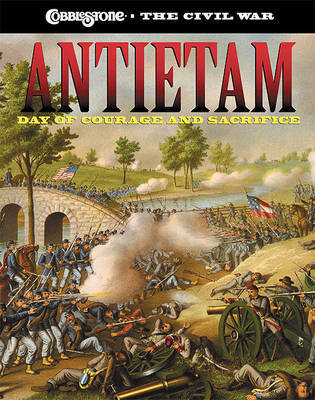 The quiet would soon be shattered by an all-day assault that would become the bloodiest single day of the Civil War, with more than 27,000 casualties.Antietam: Day of Courage and Sorrow tells the story of the cruelest battle of the War Between the States. Meet the Union soldier who foiled General Robert E. Lee's strategy by finding his secret plans wrapped around cigars. Explore how President Abraham Lincoln used the battle as a means to free those in slavery in the South. Discover why, even though the battle was considered a draw, Antietam proved to be a turning point of the Civil War.